So today I joined another Giveaway. Who knows my luck to get this money prizeyy... Teehee. Just click the banner below ! 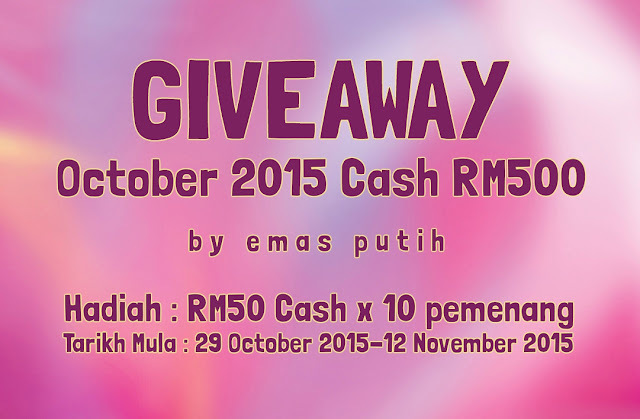 1 comment on "Giveaway October 2015 Cash RM500 by Emas Putih"